My approach to grocery shopping was built around some corner cubicle, engineer- and process-loving corporate principles. I could stop at my local big box, Urban Cub, and be out of there in 25 minutes with $200 worth of food. I’ve been shopping at Urban Cub since I moved to SW Minneapolis (14 years ago!) and I know the layout of that store like the back of my hand. I bet I could do it blindfolded. No Six Sigma, Kaizen, Process Improvement needed for my grocery shopping- I’ve got that bad boy so streamlined there were no improvements to be had. Plus I always thought I was getting such a great deal. While I wasn’t any “Extreme Coupon”er, and I’ve always spent more time in the Produce and Meat sections than the cookie and cracker aisle (meaning there were fewer coupons available- much of my Sunday coupon inserts went straight to recycling); I did frequently use that enticing $5 off coupon Cub sent to my doorstep. Cost Savings! Yay! What could possibly trump a Fantastic Process with fantastic Cost Savings? 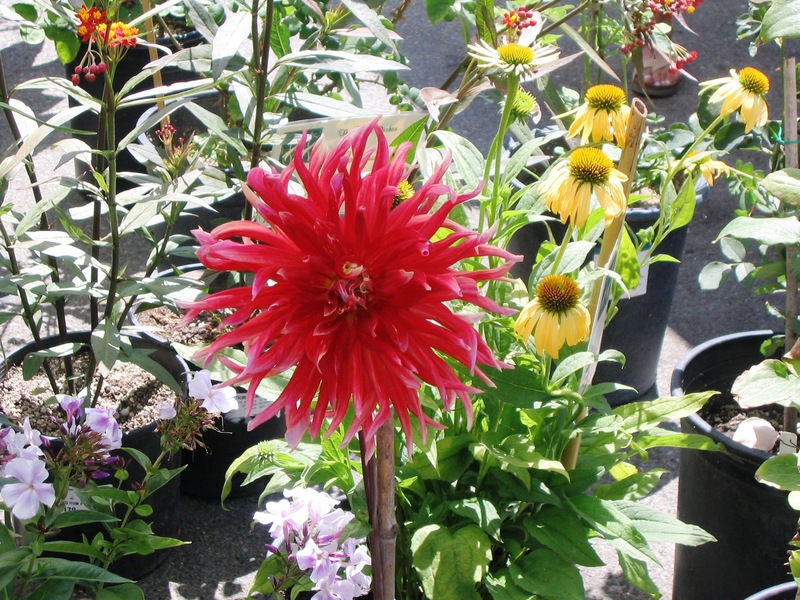 I was reticent when I met with this new client, DeAnne, to ask “what organic and natural” meant to her. Reluctant to adjust what has worked for me for years and years. Rebelling against change. But I wanted her business. I went to the Wedge. Decided to try this new way of grocery shopping on for size. Worst case, I could go back to my old ways. My Process is just as easy. Where Cub is 20 blocks to the south, Wedge is 20 blocks to the north. Getting through the store is time neutral. The Wedge is probably 1/10th the size of Cub- less real estate to cover- with less of the processed food that I never purchased anyway. I don’t wait in line at the Wedge- lots of cashiers and baggers are at the ready to help- always. And on big food holidays (Thanksgiving for example)- the Wedge has cops helping to direct parking lot traffic. Sweet! My Costs are a bit higher (to the tune of about 5%- a manageable number in my budget). This includes the $80 investment in a membership, which may have some additional financial benefit that I haven’t yet taken into account. I avoid Antibiotics and Hormones in meat, and therefore my money doesn’t perpetuate their effects (For more on this topic, read Food Matters by Mark Bittman- or check this out, just published today). 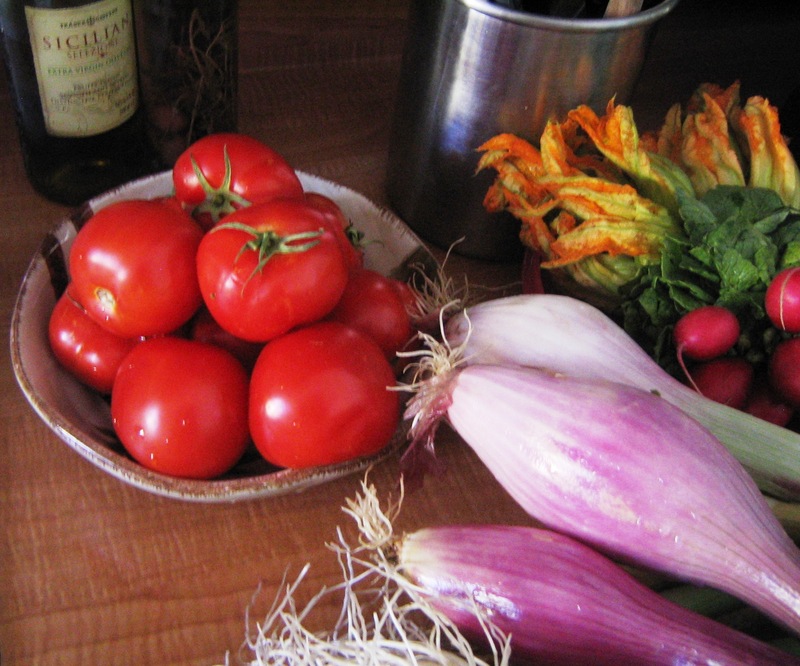 I choose bulk (oils, vinegars, grains, produce, flour/sugar, meat) – I buy exactly the quantity I need, without packaging – which results in more turns and less waste. 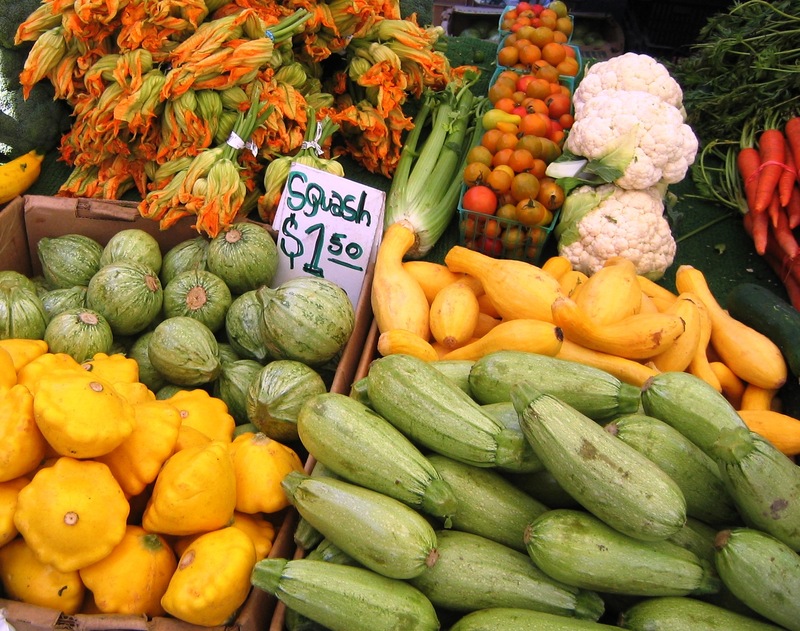 I buy fresher, brighter and yummier food (think citrus flavor in zest or juice, the green/grassy taste of meat, the crisp and color of produce). 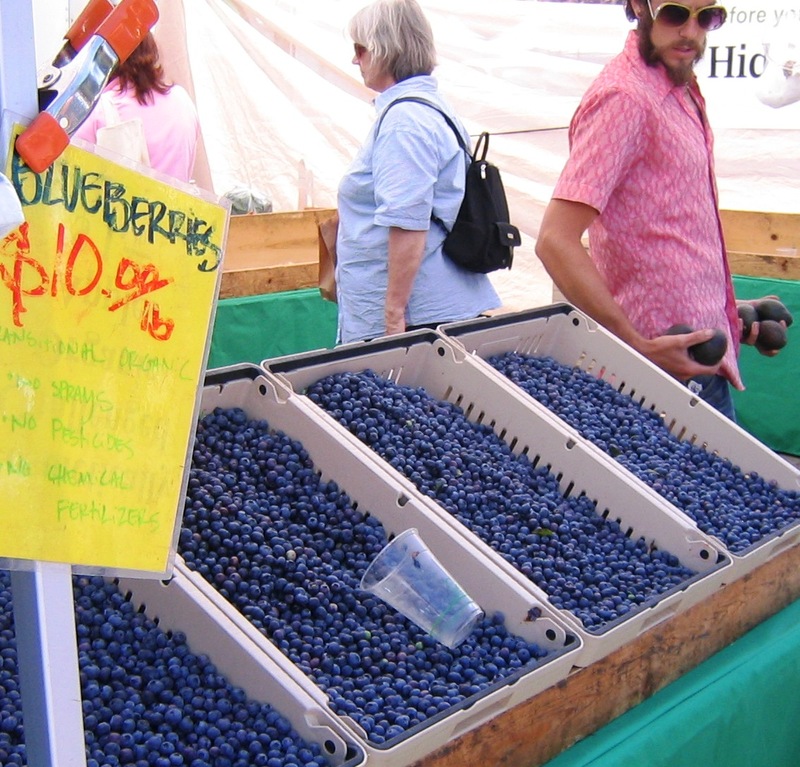 I am drawn to local food and providers. More of my money is going to the local economy… and less is going to transportation costs or mass production agribusinesses. It’s definitely easier to buy within these parameters at the Wedge than it would be at Cub. Thank you for challenging me, DeAnne. 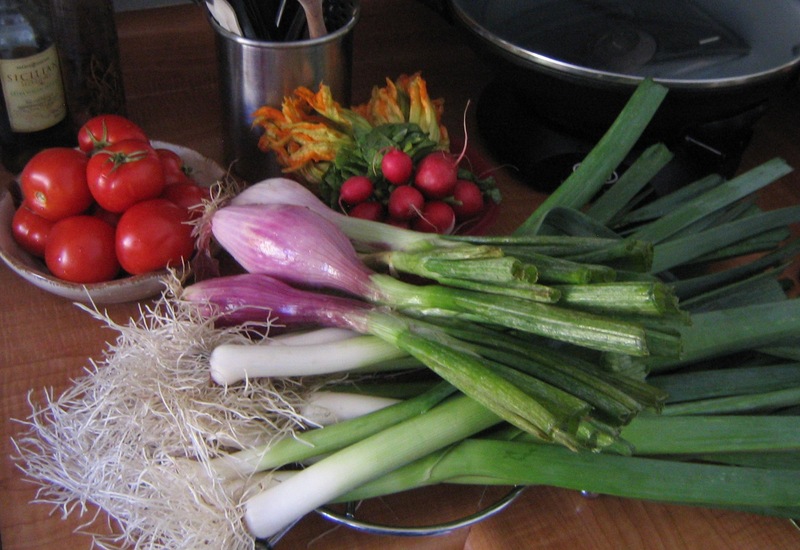 I’m learning more about food, I’m changing my philosophy, and the new Catalyst Cooks out there will benefit! Last night I hosted a cooking lesson- one of my favorites right now- making homemade pasta. I set everyone up at the dining room table, we each took a mound of flour and after adding water, egg, and olive oil we had some beautiful ravioli and fettucine. And some not-so-wonderful worked in, hardened flour spots on the table. 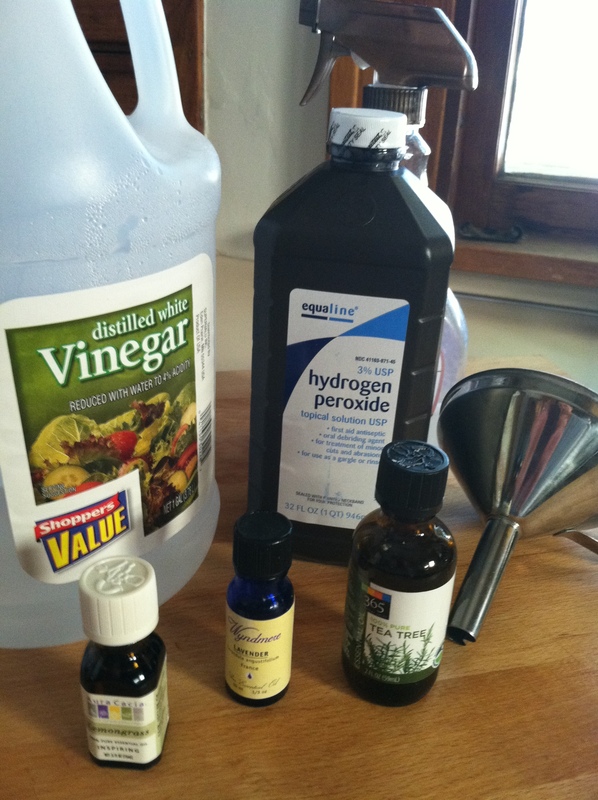 Never fear, homemade counter/table/cutting board cleaner is here! I passed the cleaner off to my good friend Joni, who marveled at how quickly the paste came up from the table. And how great the cleaner smelled. “Just what is this stuff?” she asked. Well, it’s one of the best cleaning recipes I have! Close the bottle and shake well to mix. Make sure to clearly mark the bottle as a Counter Cleaner. For the most effective use of cleaners with essential oils, it’s best to spray it on the surface you’re cleaning and allow it to sit for a few minutes so it has time to work. Wipe off with a clean cloth, and you’re set to go! Are you looking for a little heat in your life? Need to spice up your long winter nights with a little kick? Jenny Hot Sauce is your answer! 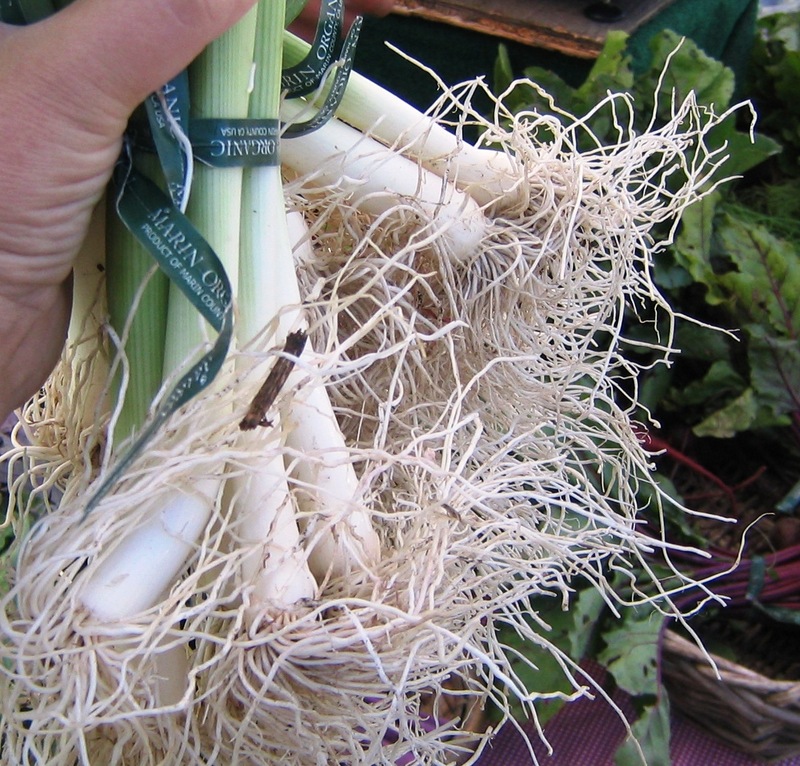 Beautiful fruit and veggies are tough to find at this time of year. 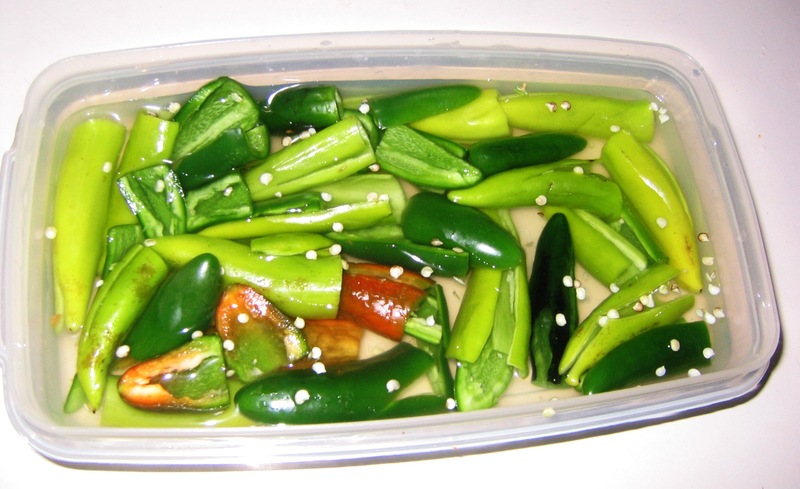 But the bin of jalapenos always seems to be bright, green and shiny… and CHEAP. I pay anywhere from 10 to 20 cents per jalapeno pepper, and get about 1 ounce of Jenny Hot Sauce per pepper I use. That’s 20 cents per ounce, max! On the other hand, Green Tabasco sauce is 70-90 cents per ounce. And it’s not as fresh, and I don’t control the ingredients. And I end up with yet another package to recycle. Jenny Hot Sauce, as it’s been named at our house, is too easy to make. 1. Destem the peppers (and, if you wish – as I do – to keep the heat palatable, take out the seeds). I put the peppers in water to clean them off just a bit, as shown on the right. For gosh’s sake, don’t touch your eyeball. 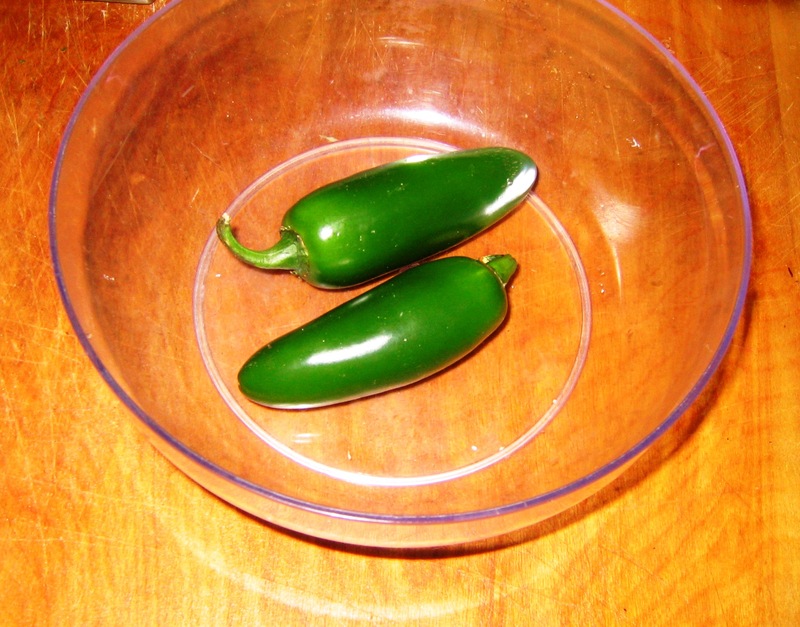 Your fingers have some jalapeno hot oil on them at this point, and itching your eye is not a good idea! (or you can wear gloves and be completely safe). 2. 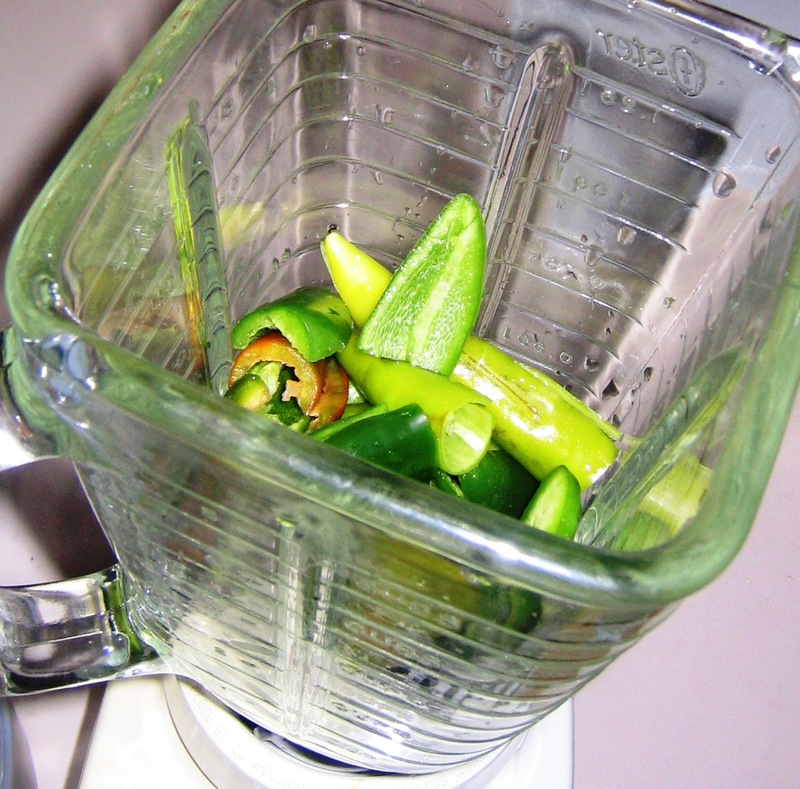 Put your peppers in the blender. 3. Add vinegar to almost cover the peppers (3/4 should be covered.) Add some salt to taste. 4. Chop, and then liquefy, the peppers. Note 9/14/11: I also add garlic cloves to this step, which gives the sauce some tangy garlic goodness. 5. 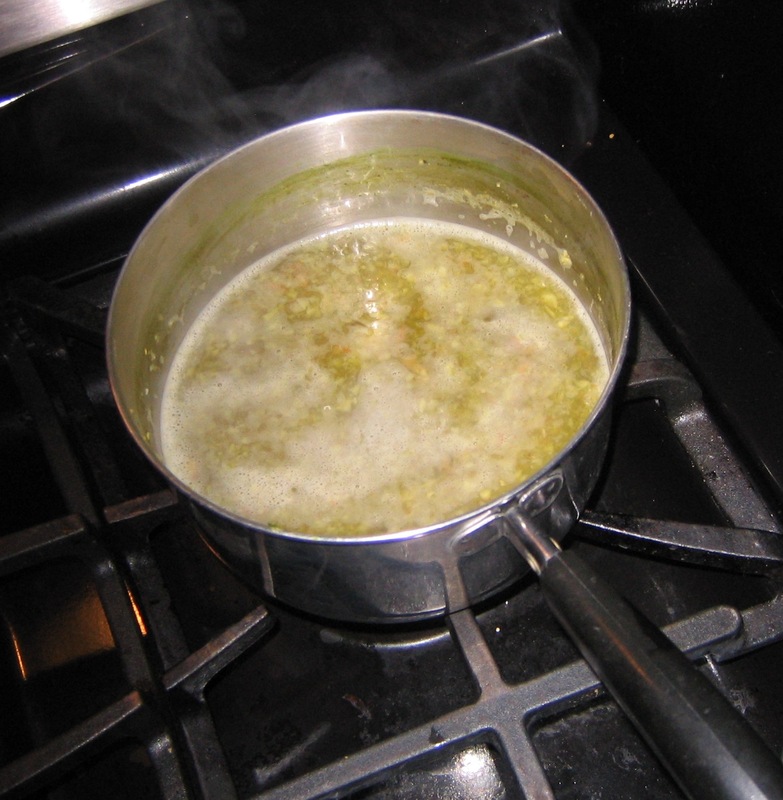 Put the mixture in a small saucepan, bring to a boil, and then reduce heat to low. Simmer until the mixture is at your desired consistency, about an hour or so. Stir occasionally. 6. Cool down in the sauce pan. Add back into the blender, and liquefy to desired consistency. Be sure to leave the lid ajar in case the hot sauce is still, ahem, hot (you know, temperature hot – not spicy hot). Pour into a clean jar. 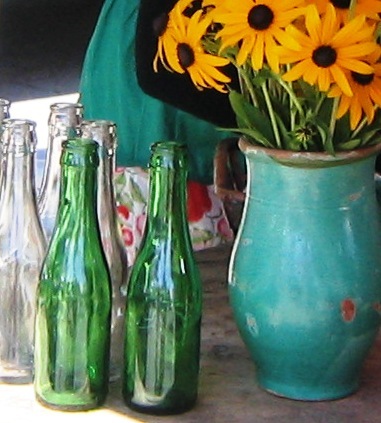 I use a cleaned olive oil glass bottle. Don’t put the lid on until the sauce is completely cooled. Store in the refrigerator, and it will keep for a couple of months. There you go – Jenny Hot Sauce, at a fraction of the price, with much better, fresher flavor! Let me know if you experiement with this one— did you add herbs, use different peppers, etc that made it better? In spring, will you be growing your own peppers to make a special blend? Life is better when it’s HOT! Today, I canned a few of the summer harvest tomatoes. If you find a farm where the sun has been hot, the rain just enough to keep the tomato plants happy, and the farmer rocks (like at Deardorff Vineyards for example!) 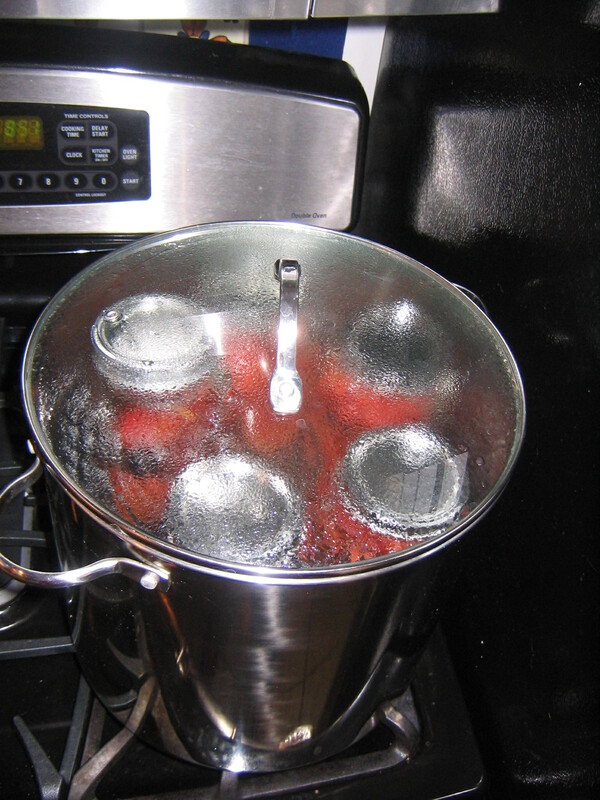 then you have some great tomatoes on your hands… the perfect time to explore your canning skills! I started the small saucepan simmering (and put in the lids and rings) on a back burner. 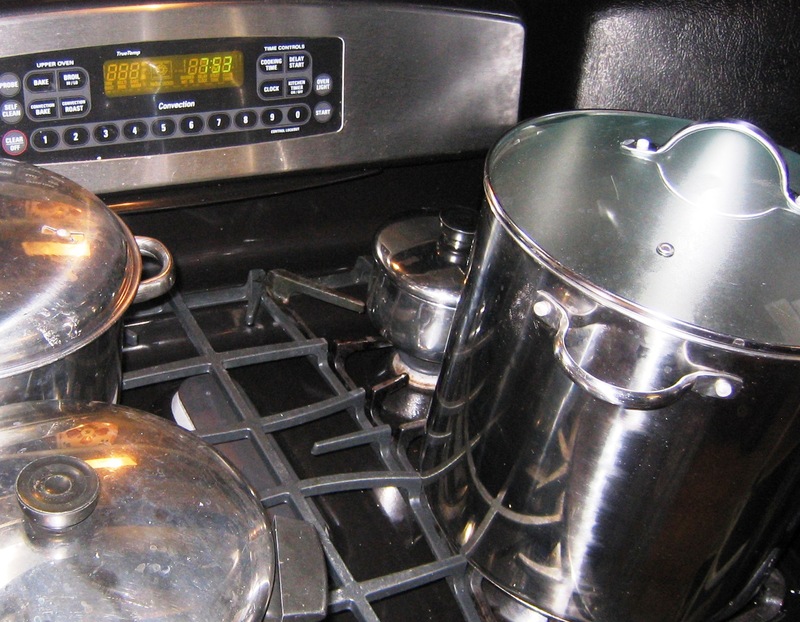 I filled the three remaining stock pots, dutch ovens, and the tea pot with water and put them on the stove to boil. 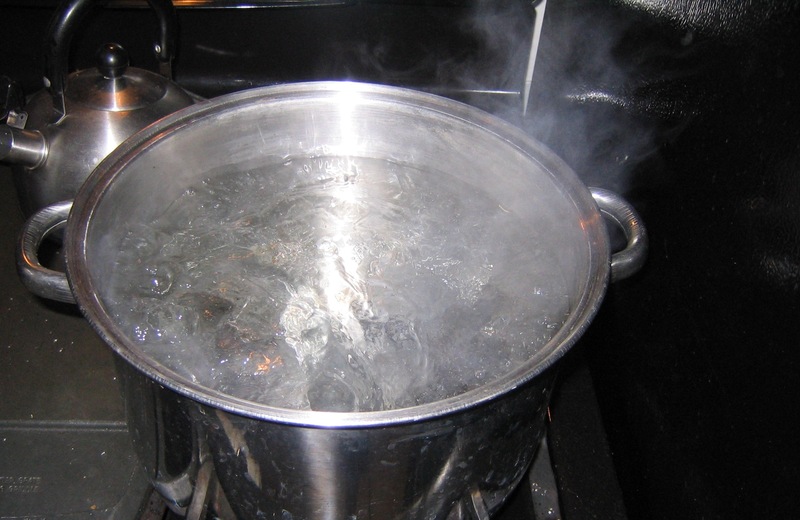 When one was boiling, I sanitized the jars, spoons and tongs by putting them in the boiling water for ten minutes in stock pot number one. This step rids them of bacteria. While I was waiting for that step to finish, I turned to the tomatoes. 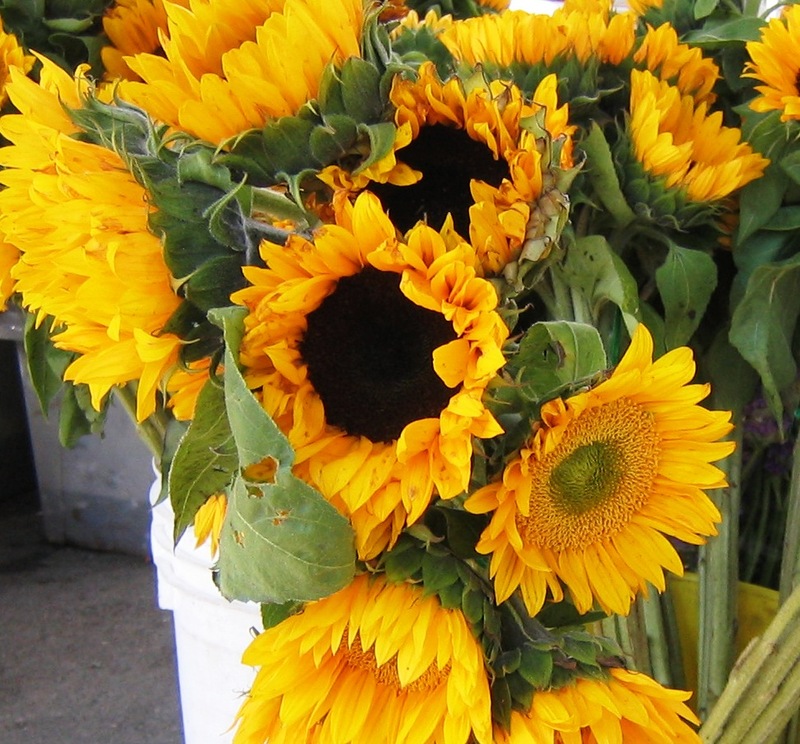 I gave them a quick rinse, since they were freshly picked and had a bit of dirt on them. I used my sharp paring knife to remove the cores. Then I cut an X into the opposite end, what I call the “belly button”. 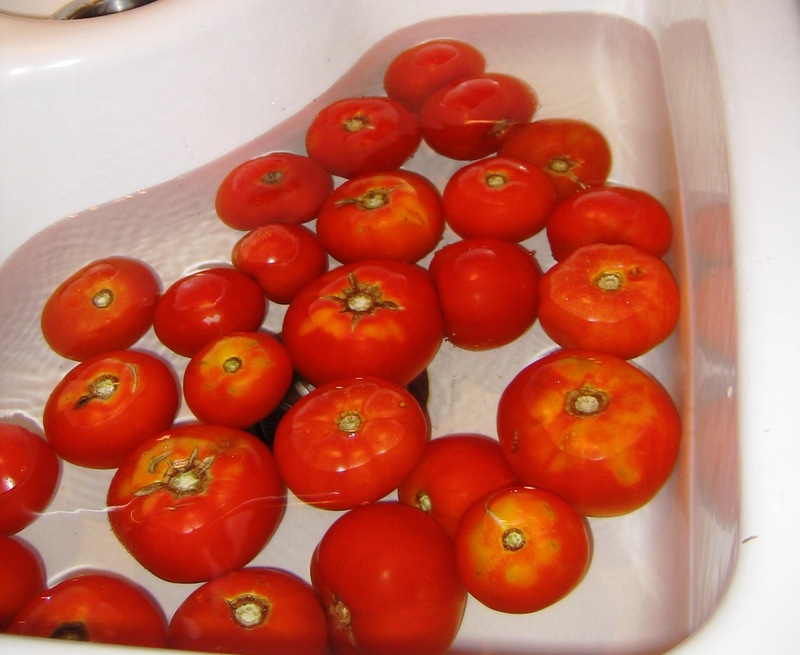 This will allow the skins to easily slip off after the tomatoes have been in boiling water for a bit. 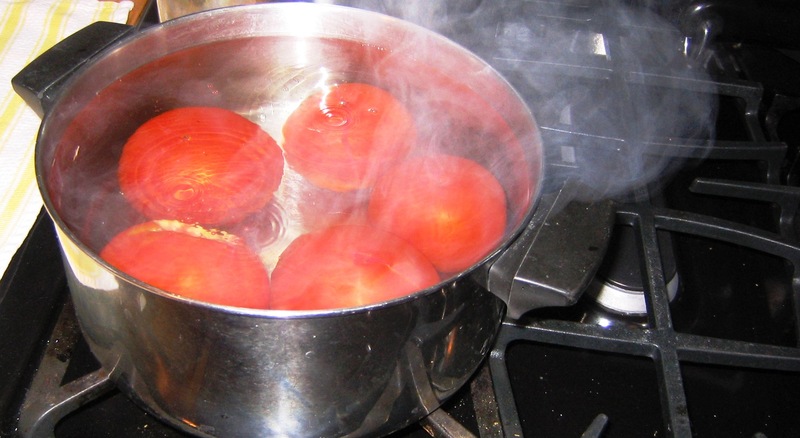 I added my luscious tomatoes to the boiling water in stock pot number two. and set them aside on a clean kitchen towel. 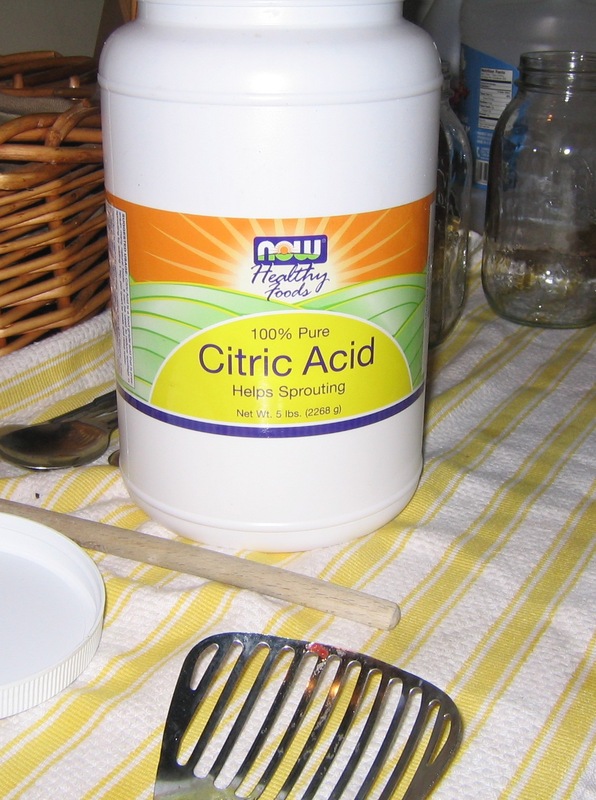 I added 1/2 teaspoon of citric acid and a bit of minced garlic to each jar, so they were ready for tomatoes. Tomatoes, over time, have become less acidic due to the new varieties, how they are grown, etc. Tomatoes that have grown in partial sun, on a vine that has yellow or dead spots, has splits or blemishes especially need an acid boost. 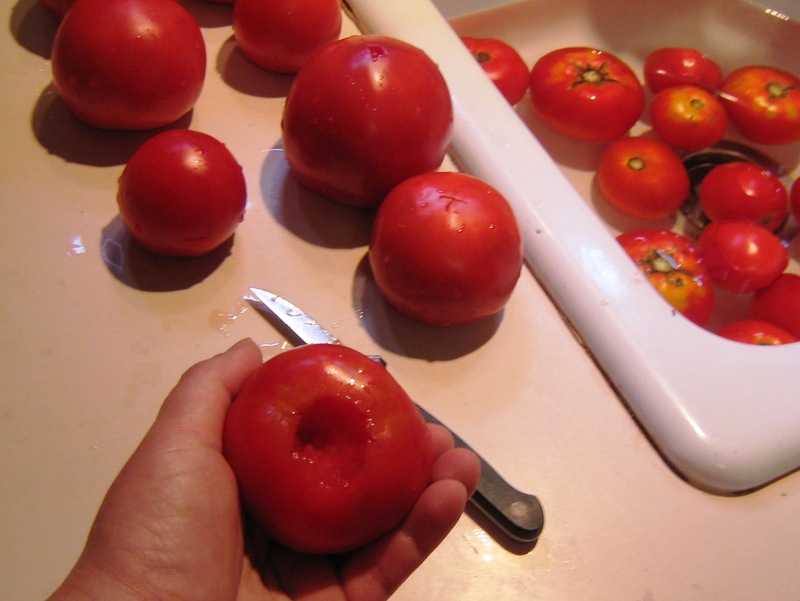 I watched the tomatoes carefully, looking for separation in the skins beyond where I had cut the X. As I saw signs that the skin was ready to come off, I lifted each one with a slotted spoon and put them in the sink (on a clean towel) to cool off just a bit. 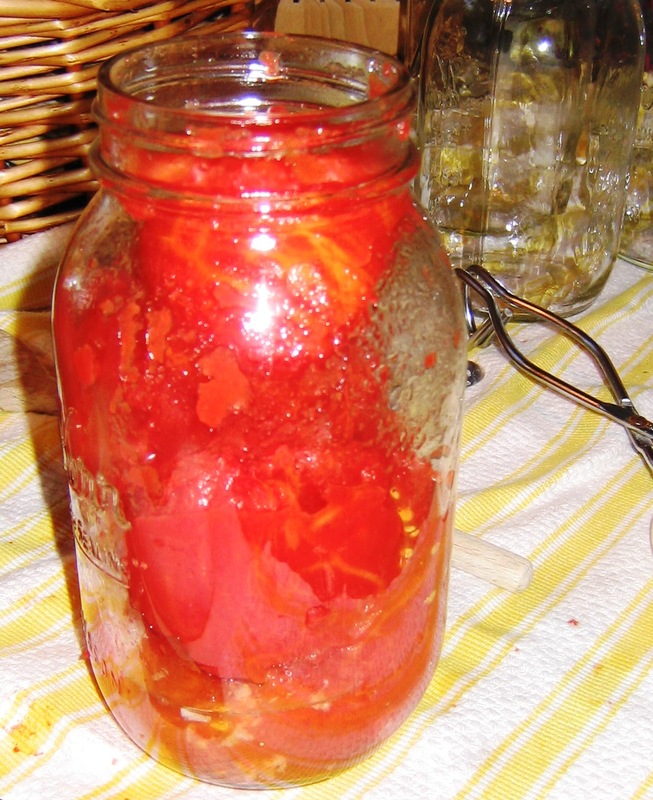 When my fingers could touch them, I peeled each tomato and slipped them into the jars. When all the tomatoes were in jars, the pot of boiling water I had used for this task was done, and I added it to the dishwasher. in order to kill the bacteria. My tomatoes- not sure what kind they were- were very watery, whereas roma tomatoes are more meaty. So I didn’t need to add as much water as I would have had I used a different kind of tomatoes. I used my wooden spoon to press out any air bubbles under the surface of the waterline. 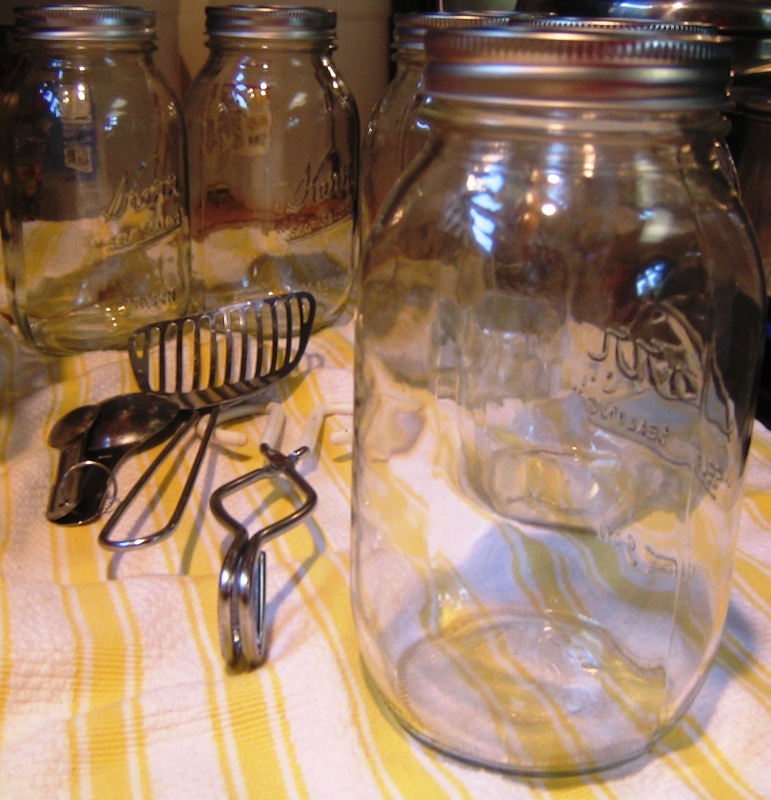 I placed the lids on each jar, and lightly screwed on the rings (from the simmering small saucepot- which is the end of its job and I put it in the dishwasher). The jars went into the boiling water in the BIG CAHUNA stockpot, on the grate I had put in the bottom of the pot to make sure water could circulate under the jars. The jars were also covered with boiling water, and I used the last of the water in my teapot to make sure there was an inch of water above the lids. I put the cover on the stockpot and let them boil for 45 minutes, and went and did something else. When the timer went off, I removed the jars from the stock pot. I put them on the counter to cool, for 12 hours, and tried not to touch them. I could hear the seals of each jar “pinging” almost right away! And there you have it…. canned tomatoes! I’m making yogurt. It’s a great experiment. And, like most experiments, some things went wrong. Because I’m stubborn, I tried again yesterday. I learned today that I’ll be trying again some other day. I did correct some of my REGRETS and MISTAKES. I used a mix of half and half with my milk (instead of straight skim milk), to try to increase the creaminess. Verdict? It worked. 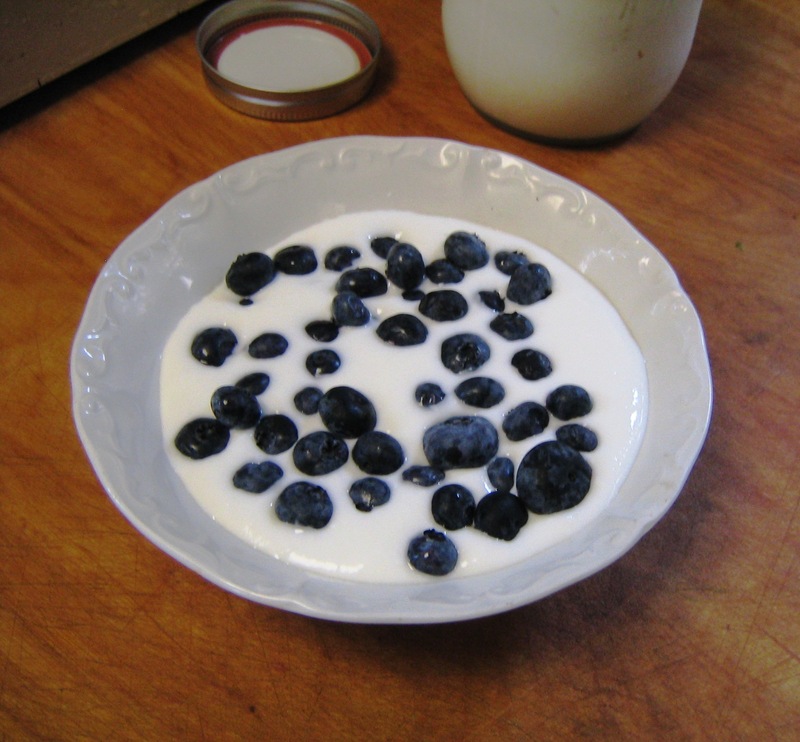 The yogurt can hold blueberries on the top! However, I did some more research today and based on that I am going to make two more changes to my base products next time. I am going to buy organic, whole milk for the next batch- preferably from Jersey (vs Holstein) cows. This will probably mean a visit to the coop, vs buying it at a big box grocer. I am going to more carefully choose my starter yogurt. 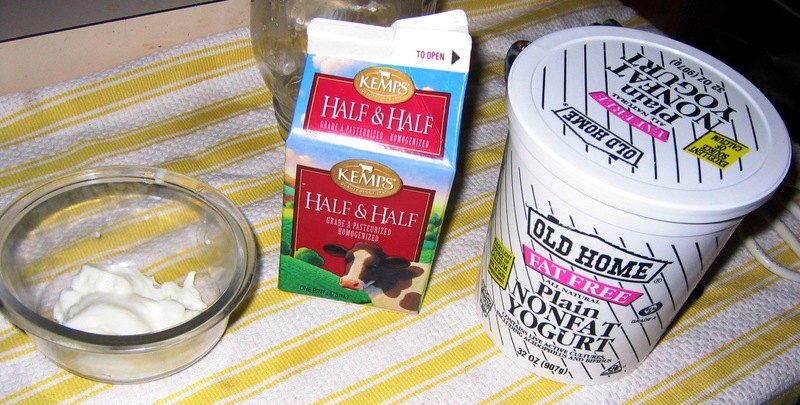 The Old Home yogurt (pictured above) contains bifidus cultures, which apparently tend to override the better cultures of Lactobacillus bulgaricus, L. Acidophilus and S. Thermophilus. I want to choose the best starter yogurt to perpetuate in my own batches. Any yogurt you choose as a starter shouldn’t have any sweetener, fruit, pectin, gelatin or other additives. 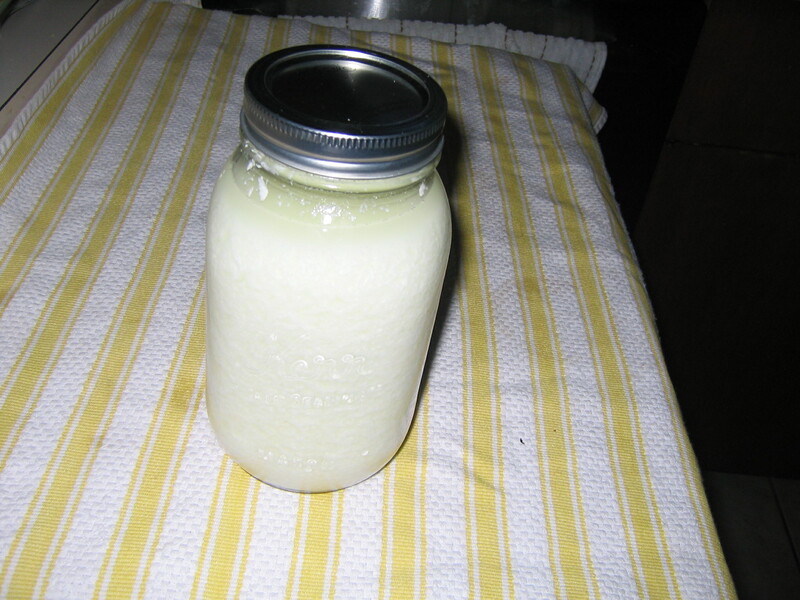 I corrected my error from yesterday, and instead of using a Mason jar to heat the milk, I used a metal saucepan. Verdict: This worked great, because when I was done heating the milk, I was able to put it into an ice bath and cool it down to 110 degrees right away. I should have stirred the milk more during this step, however. Next time I will. When the milk was sitting at 110 for 7 hours, I didn’t disturb it as much as I did yesterday. But I did have to adjust the temperature of the crock pot to get it to stay at a constant 110 degrees. Verdict: The yogurt is definitely creamier today, but I still had to move it around a bit to keep the temp. A big no-no! Yogurt is not to be disturbed when it is reproducing. So, off to the store, to buy a new starter yogurt, some fancy dancy milk, and a heating pad. Part III to come! 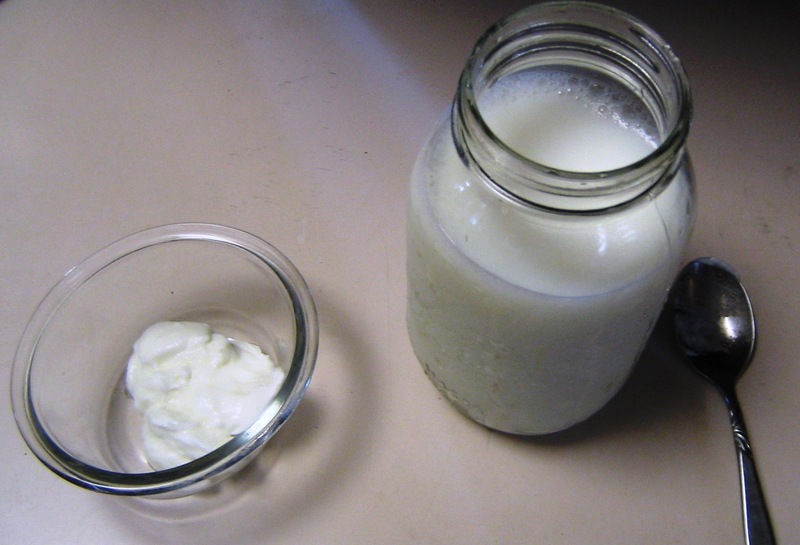 With some milk and a couple tablespoons of live-culture plain yogurt, you can make your own yogurt. Apparently it’s “easy.” Yah, Right! I’m determined to make it happen. Seems making yogurt is just like making bread but it takes longer and seems to be more detailed. For anyone that’s not scared yet, here are the steps I followed and where I made mistakes. I took out my milk and yogurt to bring them to room temperature. While they were warming up, I boiled water to sterilize my equipment. I dipped my metal spoon, my mason jar, a candy thermometer and my tongs. Herewith, MISTAKE No. ONE. 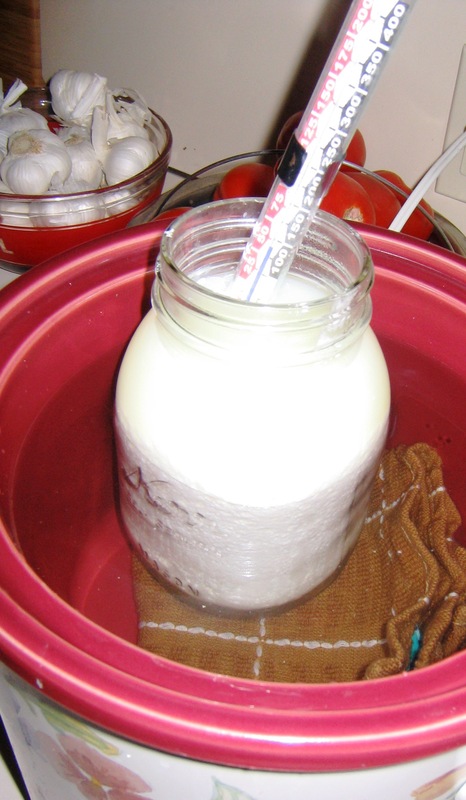 Don’t pour semi-cold milk into a super hot mason jar to measure how much will fit. 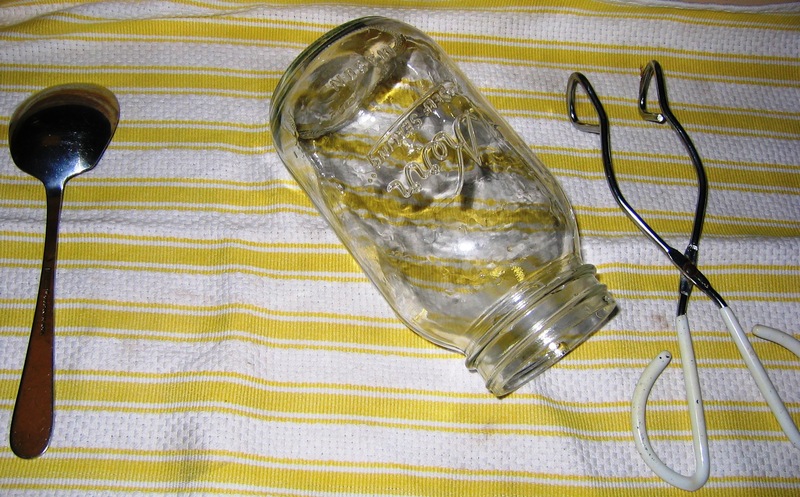 Because the bottom of the jar will crack off due to the extreme difference in temperature. 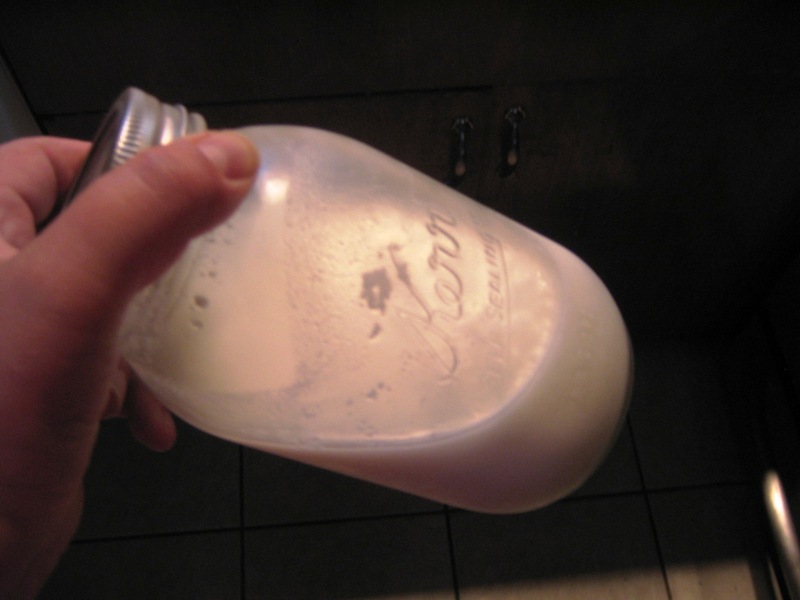 Jar in garbage, Jar #2 Sterilized, Cold milk heated on low temp in microwave, resume. 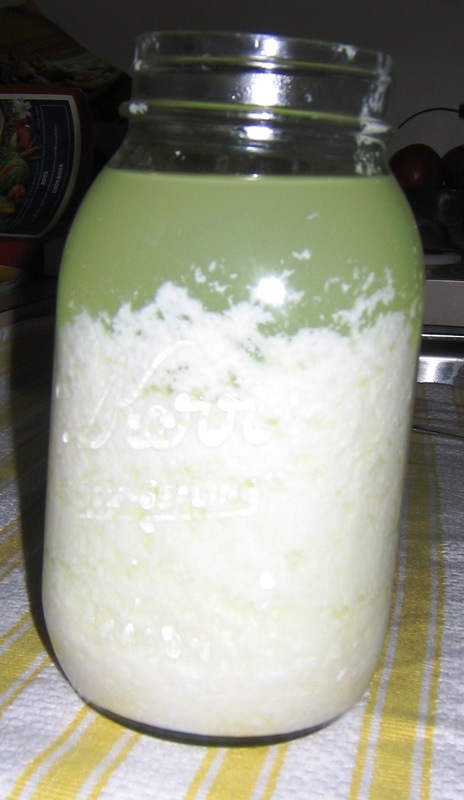 I poured about 3 cups of skim milk into the jar, put the thermometer into it, and brought the milk to 185 degrees to completely kill any bacteria, stirring the entire time to keep the milk from forming a skin. REGRET No. ONE. I wish I had used a metal bowl or pan for this step. 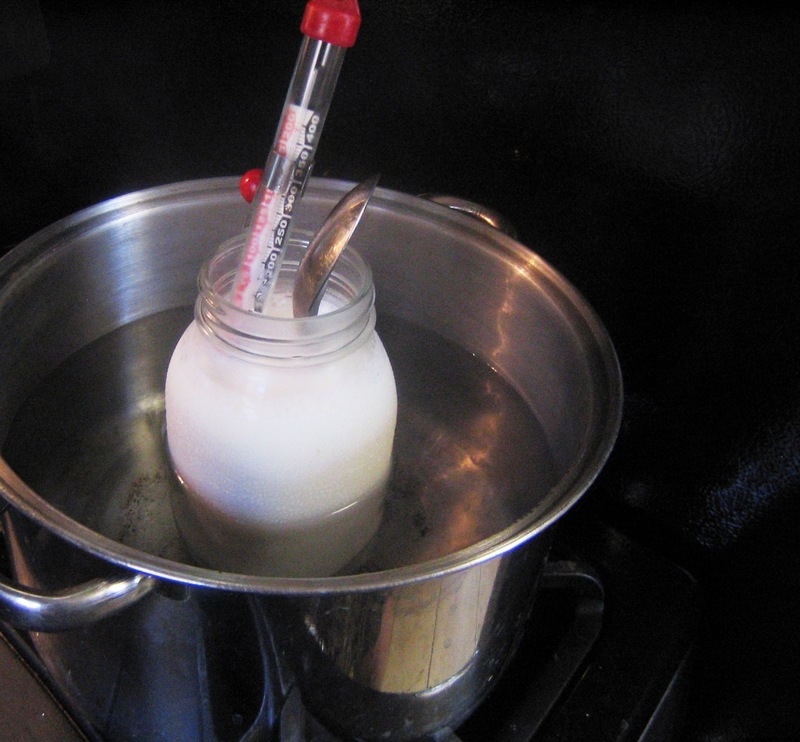 Because now that the milk is hot in a glass container, I can’t rush the next step (of cooling the milk). I need to wait for it to happen naturally. Which took about 45 minutes. Next, I put some water in a crockpot on low. I put a folded washcloth in the bottom of the crockpot so the glass wouldn’t directly touch it. 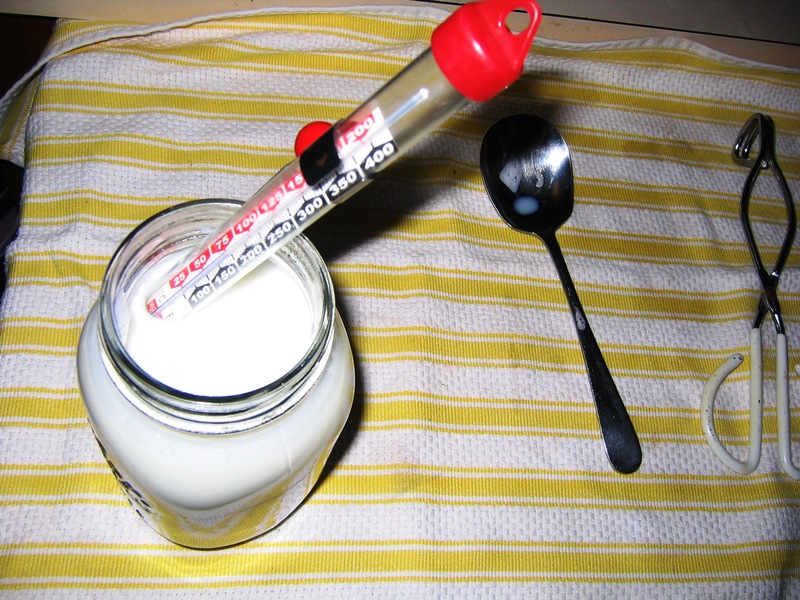 I added the jar to the pot, stirred in my 2 T of active yogurt, put the thermometer in there, and covered it with a towel. REGRET No. TWO. I wish I had a heating pad as some online recipes recommended. The crockpot temperature was a bit high, even with the lid off. It wanted to keep the water at about 125 degrees. 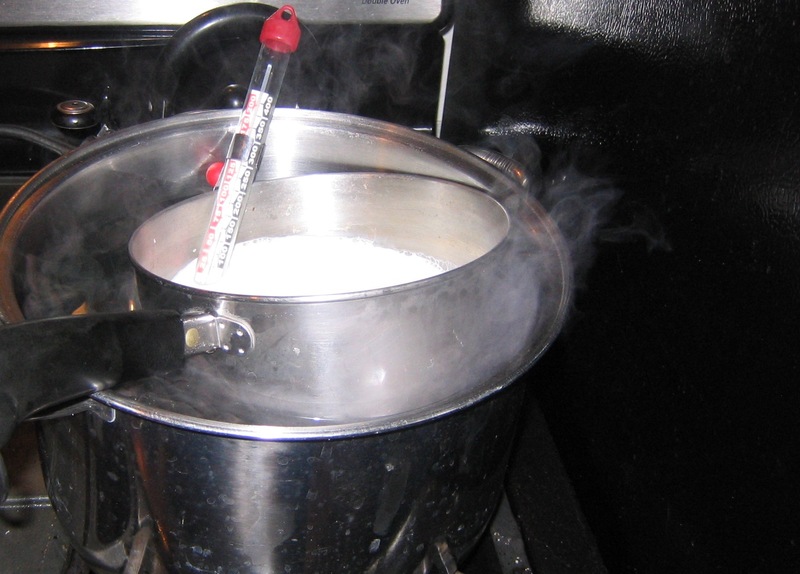 So I frequently took out some of the hotter water and added some cool water to keep my yogurt at 110 degrees. MISTAKE No. TWO. I stirred too much during this part of the process. Don’t stir when you hit the seven hour waiting time, or your yogurt may curdle later on. Trust me. At the end of seven hours, this is what I had. It is okay, in fact supposed to have a green liquid on the top of the yogurt. I stirred it in and put the lid on the jar. Ready for the fridge overnight. I strained it just now, and it’s thicker. But amazingly I only ended up with 1/4 a mason jar of yogurt. I guess that’s why people on the message boards say that if you use skim milk, add powdered milk to it so it will end up more creamy. Catalyst Cooks is in Marin County, California. 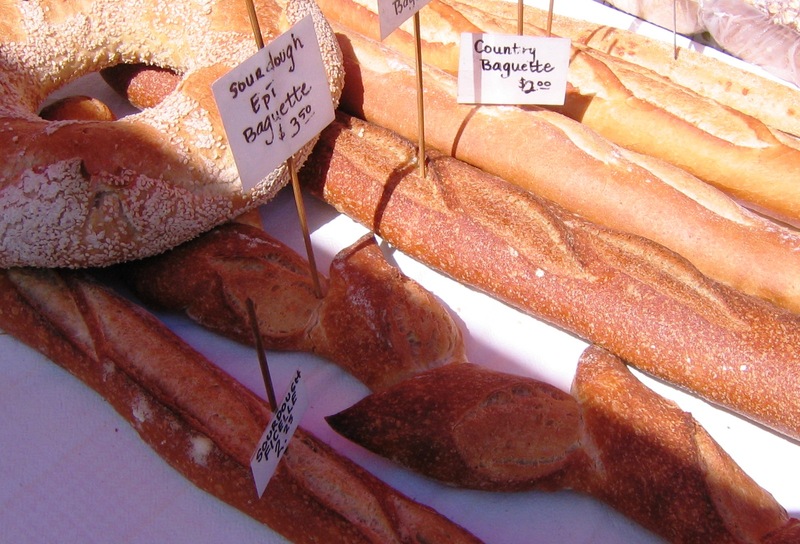 There is a beautiful market on Sunday mornings that we went to today, in search of yummy, organic produce and cheese. I’ll be cooking up a dinner party or two, on the road! I can’t wait to cook now! 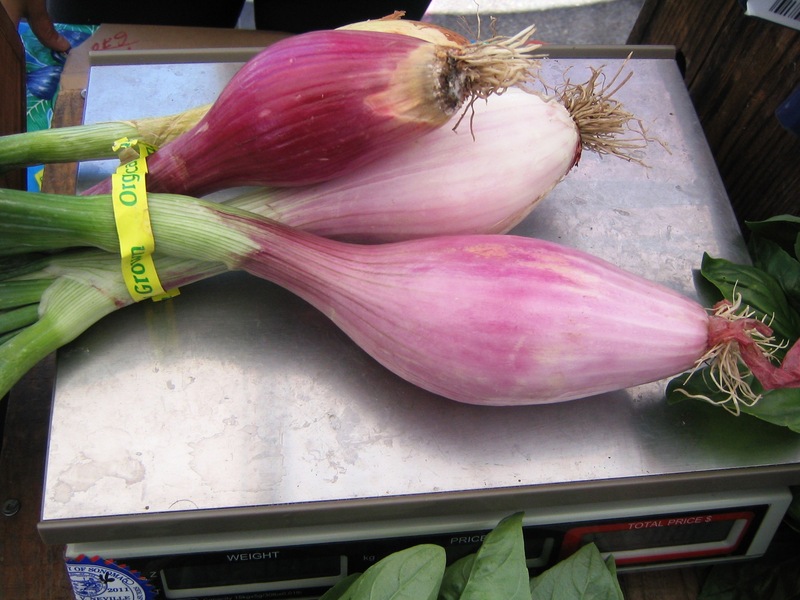 © Jennifer Antila, Jen the Catalyst and Catalyst Cooks ®, 2010, 2011, 2012. Unauthorized use and/or duplication of this material without express and written permission from this blog’s author and/or owner is strictly prohibited. Excerpts and links may be used, provided that full and clear credit is given to Jennifer Antila and Jen the Catalyst with appropriate and specific direction to the original content. Jen the Catalyst by Jen Antila is licensed under a Creative Commons Attribution-No Derivative Works 3.0 United States License.